What a perfect Mary, it does not get much better than that! Breezy, but not too much. Warm, but no rain until after dark. Busy with 274 entries, but not too chaotic – well, mostly! Ten RS Aeros made it to the start line a healthy increase on last years 5. With the wind quite fresh but gusty and a course with plenty of reaching the big boys decided to hold onto their RS Aero 9s. The majority opted for the RS Aero 7 rig with on lone RS Aero 5 to lead the way with a 5 minute head start. Entries for France and Luxemburg gave the fleet an international flavour and we look forward to enticing more visiting nations next year! The Bloody Mary is a great event to meet up with old friends in the class (and in other classes) and make new ones. 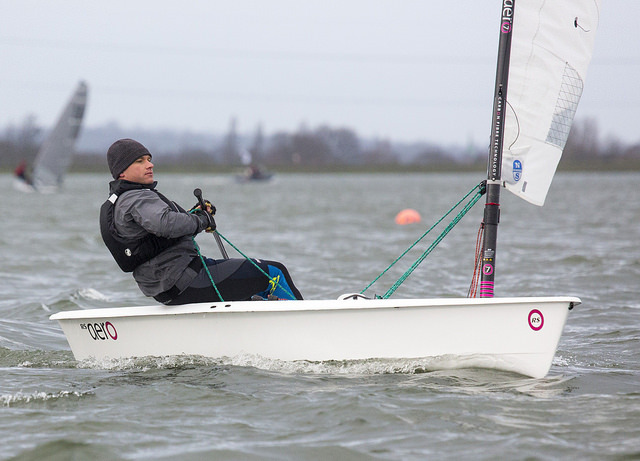 This winter I've been concentrating on the 7 rig, I spent most of last year sailing the 9 and thought with the colder windier days it would be good to see how the 7 goes. The forecast for the BM was 13-15 gusting 20-25 so the choice looked good. 9 rig stalwarts Matt and Richard would have to make up several minutes on the 7 fleet. Our start was quite crowded with RS200's, N12's and Albacores all starting on the same minute as the 7's. I squeezed in at the committee boat end, tacked for clear air and by the windward mark I was with the leading 200's and 12s. Each reach I found low and fast was best - the RS Aero accelerates so well if you crack off a bit and the fleet ahead usually curved out to windward. Spent most of the race fighting the front bunch of 200's. At one point Andrew Snell in his RS Aero 7 caught me and we spent a few legs in very close company before the wind picked up again and I escaped his clutches in the melee of traffic. Matt tells me he had me in his RS Aero 9 sights at one point before the wind came right back up and he dropped it on a run. I have to say I spent most of the race looking forwards, rather than at the chasing fleet behind! Lovely to meet the Luxembourg team - hope to see them again next year. After the Bloody Mary 2015 where, due to the strong winds, I enjoyed the RS Aero 5 rig on rather empty waters as one of the rare survivors of gusts of more than 30 knots, 2016 was crowded sailing! Concentration was vital in the first part of the race to sail the course and a good race. The Aero 7 rig gave plenty of power and the hiking was comfortable, a pleasure in a two hour Race! Downwind was fun: the high boat speed by searching apparent wind gave me more pleasure but the extra distance of sailing a bit higher didn't pay out in places, at least in the first hour! Later, in the gusts, this changed as I could be planning fast, fast, fast! At the end of the race I had learnt how to handle the excess power with the downhaul in the gusts and gained places upwind, if the race hadn't than finished on a last high speed reach, which gained me 3 places, things could well have improved! I am happy to have sailed the RS Aero and burnt some fat in January at a Bloody Mary Race, deserving it's name again and again! Thanks for assisting Team Luxembourg, The Bloody Mary and RS grow more and more popular with us! The first RS Aero 9 was Richard Watsham (Starcross) in 112th loving the extra power on the reaches and just pipping Andrew Snell (ArmySA) in his 7 rig. 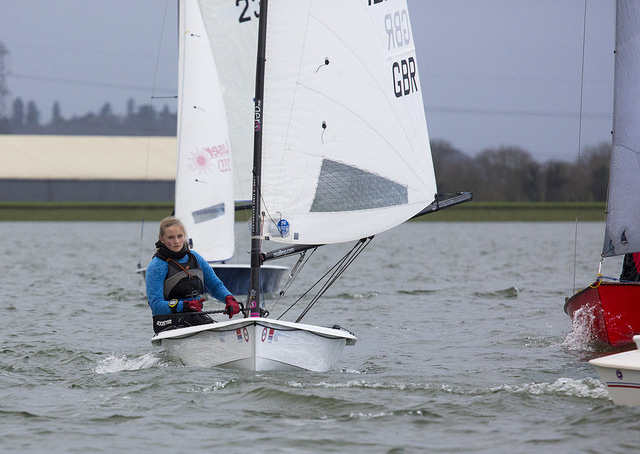 Caitie Atkin (Alton Water) was the first RS Aero 5 this year in 149th. Well done to all! 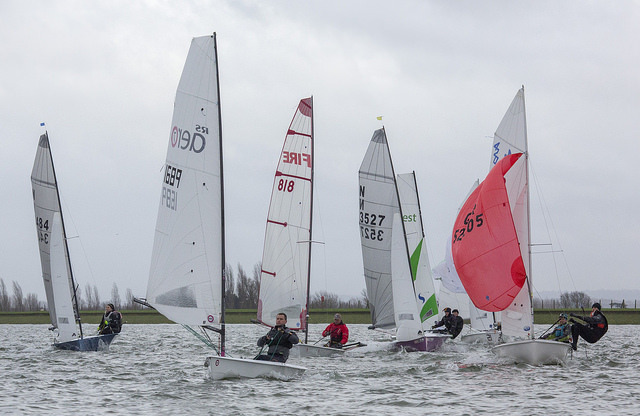 Next up on the RS Aero UK Winter Series is the Starcross Steamer on the picturesque Exe Estuary this Sunday 17th. 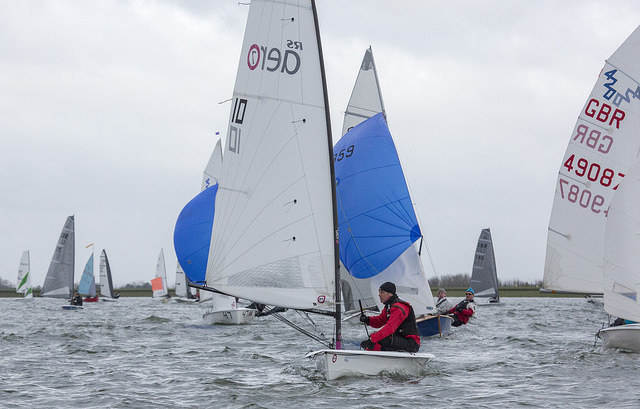 With thirteen RS Aeros pre entered it looks set to be another great day out! Following that the ever popular Steve Nicholson Trophy at Northampton SC on the 30th January forms Round 6.